At the top of my List of Shame, could only be Casablanca. This iconic film is set in Africa, during the beginning of World War II, following the love triangle of Rick Blaine, Ilsa Lund and Victor Laszlo. 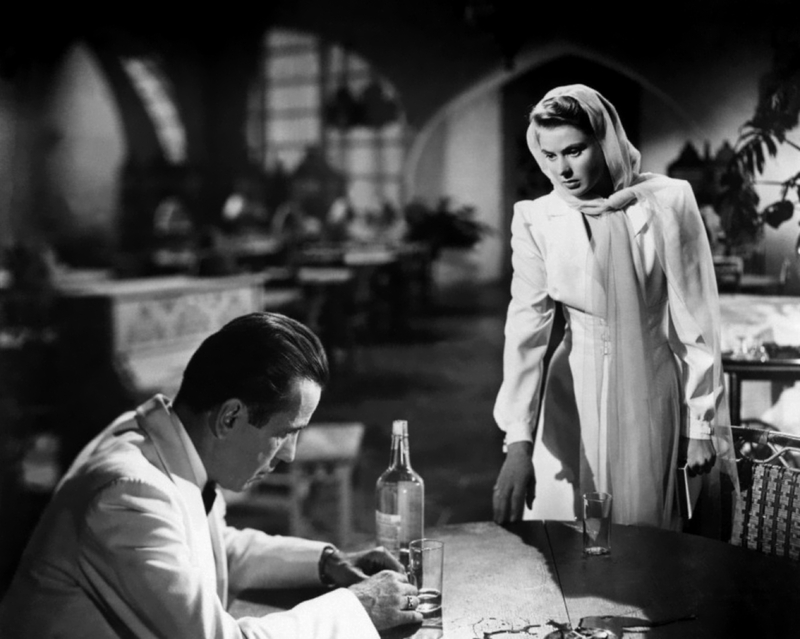 Casablanca demands its place on every must-see list. Some of its legendary lines include: We’ll always have Paris, Here’s looking at you, kid; Louis, I think this is the beginning of a beautiful friendship; and the often misquoted Play it Sam. Play “As Time Goes By”. Though I must say my favourite is “Of all the gin joints in all the towns in all the world, she walks into mine”, and of course, the one I chose to highlight. I really don’t feel like I can say much about it at this moment. I’m still fairly new with the Old Hollywood era, but I can say that I enjoyed Casablanca very much. It’s elegant, tender, funny, heart-breaking. It goes beyond, if you know what I mean. One to watch again, for sure.